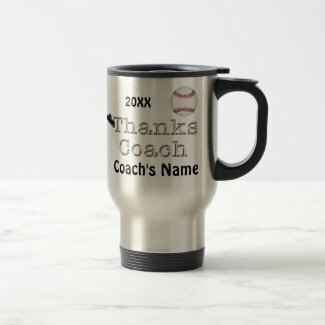 Personalized Baseball Gifts for Coaches that have a Vintage Baseball Rustic Coach Mugs. Type your coach’s NAME into the Text Box instead of “Awesome”. Whenever you see Text Box Templates to the right of the products, on the product page, that means you can type in YOUR TEXT or DELETE it. Look for those text boxes with the temporary text in. The fancy beveled and wooden look text cannot be changed but the other text can if it is in a template to the right of the product below “Edit this design template”. Baseball Gifts ideas that will last for years and your coach will smile every time he looks at his Personalized baseball gift. Your coach will love showing it off to his colleagues, makes the perfect Baseball Gifts. 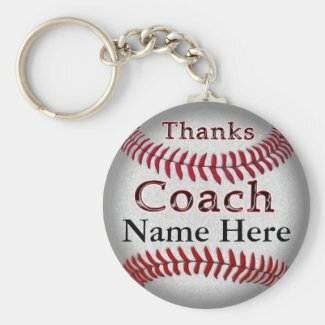 Baseball coach gifts that will have a lasting memory with their own Personalized Baseball Coaches Gift Ideas. Coaches Mugs and they are my Best Selling Coaches Gifts for Baseball. The perfect gift idea for other sports as well. Everyone can use a great quality stainless steel travel mug for coaches for either hot or cold beverages. The mugs are long lasting stainless steel on the inside too. I love my mug. 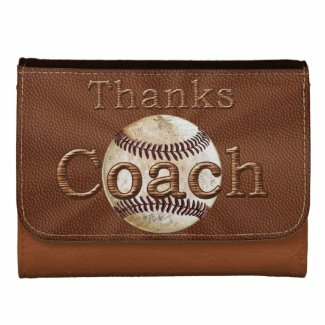 Personalized Baseball Coaches Gift Ideas, made especially for your coach for any occasion. You probably will see him with his new personalized mug you had made especially for him. The coach will appreciate and cherish one of these Personalized Baseball Coaches Gift Ideas, makes the perfect Baseball Gifts. TYPE in YOUR COACH’S NAME instead of “World’s Greatest”. Linda just designed these Vintage Baseball Gifts for Coaches (and players). You can visit my Baseball Shop to see all of the cool vintage baseball decor and gifts for men and boys. Many can be personalized or leave them as you see it or delete any text you don’t want. Some of the coolest and Handsome Baseball Wood Art. The coach will display and be very proud of their very own Personalized Baseball Coaches Gift Ideas, makes the perfect baseball gifts. Personalized Baseball Coaches Gift Ideas, makes the perfect Baseball Gifts that they will enjoy every day. Baseball coach’s gifts that are Under 5 to Coach Gifts under 100 Dollars. 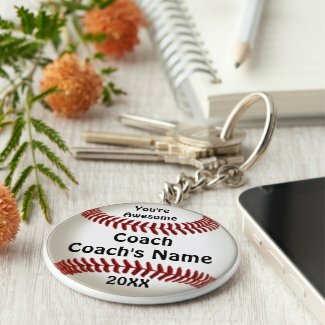 Baseball Coaches Gift Ideas are unique and have a memory for a life time. Scroll Down to see lots of Great Baseball Gifts for Coaches. Personalized ONE MUG at a Time, “Add to Cart” and then Go Back for the next personalized mug. Some of the best personalized travel mugs I’ve ever seen. I own one and love the fact that it is stainless on the inside too instead of plastic. The lid turns to close and the printing is amazing. They will love one of these and cherish one of these Personalized Baseball Gifts Ideas for Coach from Players. The perfect Baseball Gift, made especially for your coach. 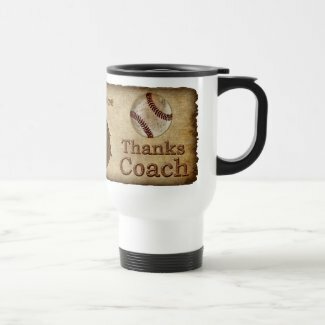 The second Baseball Coach Mug with the Grunge background and wooden like Lettering for “Baseball” doesn’t need any customization but you can if you want by Clicking on the BLUE “CUSTOMIZE IT” Button beneath the Baseball Coach Mug. Then to your right Click “Add Text” and Type in YOUR TEXT and Drag the Text Boxes to place them where you wish. Not too close to the edges. See the other Text customization icon within the “Customize it” section such as the “f” for Font Style, Color Box and Font Size Box. Make sure you select the Text Layer you want to Drag or make changes to. CALL Linda for HELP. The Baseball Coach Mugs are one of Linda’s most popular Gifts for Baseball Coaches along with Baseball Keychains and Watches. The first Coach Coffee Mugs you can Type in whatever text you wish, such as the Coach’s NAME or Team NAME and YEAR. It is up to you but it needs to fit in the allotted space. The perfect Baseball Gifts that are made special and Personalized Baseball Coaches Gift Ideas, the perfect gift that they will cherish for a life time. 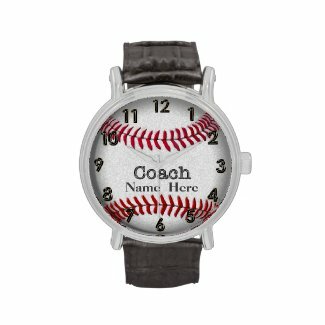 Baseball Watches are very popular Baseball Coach Gifts for Men and as Christmas Gift Ideas for Coaches. Choose from the inexpensive Acrylic Baseball Keychains to the more Expensive Premium Silver Baseball Keychains. From Under $4.00 to around $20.00 depending on the style and size that you choose. Look under the “Style Options” area to your lower right, once you are on the baseball key rings page. The most popular Baseball Coach Gifts ideas are the Mugs, Keychains and then the Watches. These great gifts are practical and your coaches will enjoy it. The Coach Mugs are made of high quality Stainless Steel on the inside and the outside of the mug. The Lid turns to close and will keep his beverages hot or cold. You can also choose the Ceramic Mugs in a variety of different sizes and color accents. The coach will love and appreciate their very own Personalized Baseball Coaches Gift Ideas. Baseball Keychains are available in the Cheap Personalized Keychains that are Round Acrylic and under 5 dollars. They are also available in a Premium Silver finish. Round and Square styles in Large and Small sizes. They run approximately 20 dollars, give or take according to your choices. These are unique baseball coach gifts that are Personalized Baseball Coaches Gift Ideas. Buy bulk for a better price. 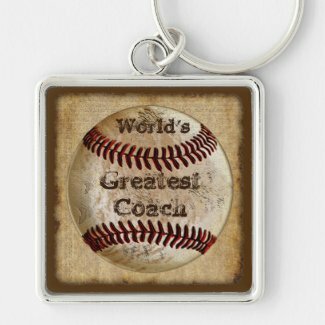 The third Baseball Keychain is also available in the less expensive Under $5.00 Baseball Coach Gifts for Men. All of these Baseball Keychains are available in the cheap acrylic keychains or the premium silver keychains. Choose under the “Style Options”. Select the shape and size for the premium silver keychains for men. Linda specializes and loves creating really cool and very unique sports gifts that you won’t find anywhere else. She chose to work with Zazzle because of their incredible Printing Robots with Crystal Clear Printing “Second to None”. Also Zazzle can boast a Less than 1% Return Rate because customers LOVE the quality gifts and the amazing printing. Customer Service is a huge priority to Zazzle. FAST production to get you your gifts quickly. Look at each product for the estimated shipping day. Most ship out within 24 hours but some take longer. Zazzle makes many of their own products and many are Made in American. Linda is the designer and places her designs on products. When a customer orders that product with her design, Zazzle takes over and fulfills the orders. A+ BBB Rating (Better Business Bureau BBB.org) Less than 1% Return Rate and they offer a 100% LOVE IT GUARANTEE. Linda, my very talented and beautiful wife will customize any of her designs to meet your wishes. She will also help you with any questions regarding customizing your gifts. If you would like any of Linda’s creations on a different product or any changes to that particular design, feel free to Call Linda: 239-949-9090. She will be happy and enjoy to assist you with any design. How do I know this about Linda? She is my wife, she loves helping people, and making them happy. She also loves hearing about how much people love the Baseball Gifts for Coaches. She is always smiling when it comes to helping people, it is her enjoyment in life. Fun and Quick Overview (1 minute & 19 second) YouTube Video of just a few of our Vintage Baseball Gifts. Browse other gifts from Zazzle. Literally BILLIONS of Gifts to choose from. Many are Personalization Gifts with YOUR TEXT and YOUR PHOTOS. CLICK on the Zazzle Ad to go to the most amazing On Demand Site you will ever see. Our family has lots of Zazzle gifts. 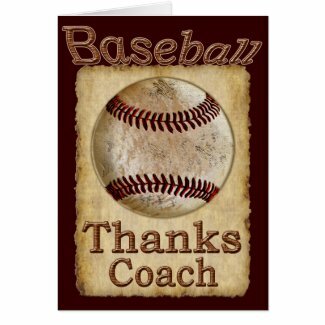 Personalized Baseball Coaches Gift Ideas, makes the perfect Baseball Gifts for all of his dedication to the team. The coach will love and cherish one of these really cool baseball gifts. Some don’t need any customization. It is up to you. Custom Coach MUGS, WATCHES, CHEAP KEYCHAINS and more. 239-949-9090 Calling is BEST method to get a hold of us. For Help or Special Order Requests. I can put any design of mine on any Zazzle product for you. No obligation. You will see it before you need to decide if you wish to purchase the item or not.